Last fall, I wrote about the first entry in Marissa Moss's Mira's Diary series, Lost in Paris, noting that it was "fun story for middle grade readers full of mystery and history." Home Sweet Rome, the follow-up book, was released last week. Mira's mother is a time traveler but is stuck in the past and needs her daughter's help before she can return to her family in the present time. In Home Sweet Rome, Mira must go to Rome during the Renaissance, accomplish a specific task, and safely return to her father and brother in the 21st century. Time travel is tricky because Mira has to follow specific rules (such as not tampering with history) while she's trying to adjust to life in the past. She also has to hide the fact that she has come from the future. In Home Sweet Rome, Mira pretends to be a boy so she can establish herself in Cardinal Del Monte's household; there she hopes to discover how she can help her mother. When in old Rome, she also meets the painter Caravaggio and the philosopher Bruno. Although the descriptions of Rome at the turn of the 17th century are vivid, and Mira's adventures have elements of mystery and danger, I'm not sure most middle grade readers will follow the deeper issues behind the story. Mira's task is too vague to provide structure to her trips to past. She is given the name of the man she's supposed to find, but she doesn't meet him until late in the book. In the meantime, she's sidetracked by the painter and the cardinal, and the urgency of finding Bruno is never felt. On the other hand, it's hard not to like Mira's spirit and resourcefulness. It's fun to see how much more confident she is in Home Sweet Rome compared to her first experiences with time travel. As we learn in the first book, Mira is a budding artist and doesn't go anywhere without her sketchbook. The story of her adventures is amply illustrated by her drawings of Rome and the people she meets. Marissa Moss's Home Sweet Rome may appeal to middle grade readers who are interested in Rome and particularly in the Renaissance. The back of the book includes an author's note, a map, and a short bibliography for further exploration. This post will be linked to Kid Konnection, hosted by Julie at Booking Mama. 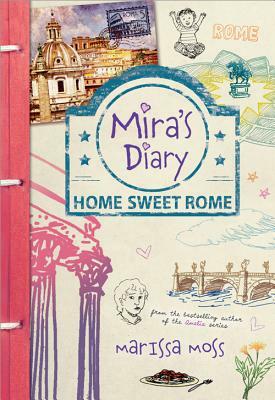 Buy Mira's Diary: Home Sweet Rome at an Indie or at bookstore near you. 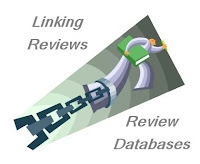 This link leads to an affiliate program. I like the premise. 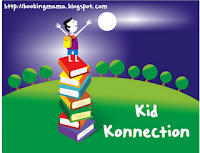 Well, heck, I am predisposed to like any book involving time travel! I didn't love the first book because I needed more explanation but would be willing to give this one a try. I'm currently reading this with my daughter and we're about half-way through. We didn't read the first book and so far we are enjoying this one. I agree that Mira's mission is vague, and the chapters are very long. I know most of the places in Rome mentioned in the book and my daughter saw those places when she was 5 but she doesn't remember much. I have the first book but haven't read it yet. This one sounds even better because of the setting!